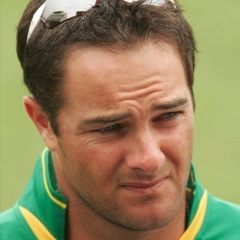 Cape Town - Former Proteas wicketkeeper Mark Boucher has been roped in to assist 20-year-old Quinton de Kock, ahead of the first ODI against New Zealand at Boland Park in Paarl on Saturday. De Kock will be wicketkeeper for the three-match series, with the Proteas management giving AB de Villiers some leeway to focus on his captaincy. “We’re feeling it out to be honest,” coach Gary Kirsten said when asked how long the stint would last. “When Mark retired I said to him to him that his 147 Test matches of experience at international level is something I wouldn’t want to turn away, I think he has a lot to offer. Boucher was forced to retire last year after a freak eye injury while 'keeping for the Proteas in their tour opener in England. Kirsten was also not overly concerned about De Kock’s recent on-field misconduct, and hopes the youngster will gain insight from the current Proteas environment. “I’m not concerned about it,” he said. “I think what the Proteas team stands for at Test level, something we try to filter through to all our formats, the strength of our team and what underpins our performance and our success is our team culture. “He (De Kock) will get a good understanding of what that is in the next few days and I think that will help him and give him direction in terms of how he goes about his cricket in the future.